Chinadaily Forum › BBS › News Talk › China Watch › Should working longer hours be encouraged? (Mirror) China's richest man Jack Ma has said young staff members should see 72 hour working weeks as a 'blessing'. 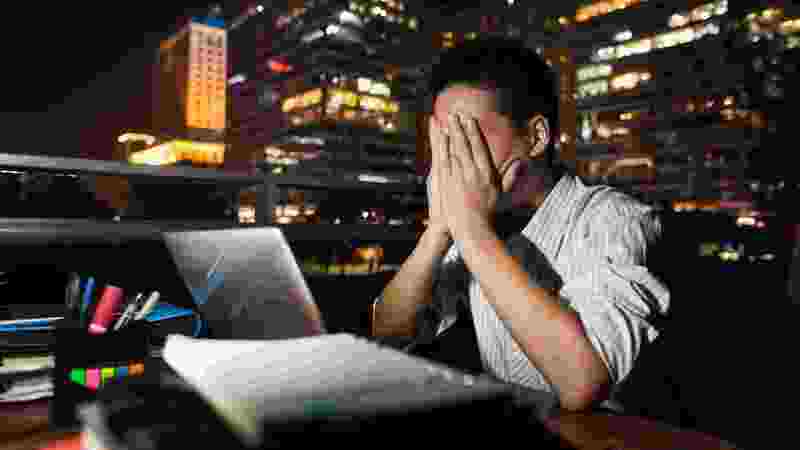 online debate and protests on some coding platforms, where workers have swapped examples of excessive overtime demands at some firms. Jack Ma, Alibaba Group founder told the company's employees in a speech that the opportunity to work such hours was a "blessing" because other companies didn't get the chance to do so. The billionaire said he and co-workers regularly worked long hours and said everyone strives for success, a better life and to be respected. According to an Alibaba chat platform , he said: "I personally think that being able to work 996 is a huge blessing. "If you don't work 996 when you are young, when can you ever work 996?" He added: "In this world, every one of us wants to succeed, we all want a better life, and we all want to be respected. I ask everyone, you don’t have to work hard and time beyond others, how can you achieve the success you want?" Ma said there are many people who work even longer hours. He said he thinks it's a blessing to work so much because there are people who don't have a job, or whose companies are at risk of closing. Ma said he has never regretted working such long hours and feels he is very lucky. He said his work life has been his own choice and he has no complaints about it. Work smart, not work long hours; that's not smart! Exactly. Some people think that working overtime means you’re a hard worker. Actually, you have to sacrifice your personal time to stay at work, produce something, help the company, and be a more dedicated employee. But is that right? Working too many hours only means you are inefficient. This means that it takes you longer to produce something than someone else. A good manager knows how to encourage his employees to work to its full potential instead of expect them working late, even if they didn't have something to do. People who hang on in their office until late are starting to resent their jobs, and it affects their performance, as well as other aspects of their life. That's why I completely disgaree with Jack Ma!